My five year old granddaughter asked me how long before her family would be moving to their new house. Since six weeks is hard for a five year old to grasp, I took her to a wall calendar and showed her how long until moving day. Now, each day, as she marks off calendar squares one by one, she can see how long before the waiting is over. I don’t know anyone who likes to wait. Do you? (I didn’t think so). Waiting is hard work and, at times, can even test our faith. It’s especially difficult when there are no guarantees that our waiting will ever end in this lifetime. Desires we long for, prayers we’ve been praying, news we are waiting to hear; can tempt us to be impatient, discouraged, to worry, and even wonder if God really cares. Perhaps this is why the Bible talks so much about waiting. 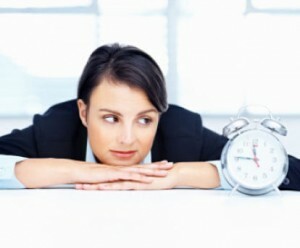 God wants us to know that waiting is far from a passive activity in which we do nothing. In fact, Scripture teaches us that God wants us to actively participate in the work He desires to accomplish. Waiting strategically can cultivate good fruit in in our lives such as patience, perseverance, and endurance. It also draws us closer to our Savior and points those who are watching us to the gospel. To that end, here are ten things to do while you wait. 1. Believe that the God who saved you hears your cries (Micah 7:7). Have you ever felt like your prayers are bouncing off the ceiling? Perhaps, like me, you have prayed for years about a concern but God has seemed silent. There is only one place to go to for reassurance during these hard times, and that is to the cross. That’s where God demonstrated His love and mercy towards us when we were still His enemies. “He who did not spare His own Son, but gave Him up for us all, how will he not also with Him graciously give us all things? Romans 8:32) In other words, the Cross is our guarantee that God is for us and is committed to give us everything we would ask for if we knew everything He knew. We can be content with that and wait patiently for His answers. 2. Watch with expectancy but be prepared for unexpected answers (Psalm 5:3). While God has been faithful to answer many of my prayers, it’s often been in far different ways than I would have anticipated! God knows that the only way to do what He and I both desire will, at times, involve varying degrees of discomfort in my life. Growing in humility means pride has to be done away with. Learning to love like Jesus requires us to say no to self’s constant demand for selfish ambition, wanting our own way, and putting ourselves first. Growing in patience inevitably involves some form of waiting, whether in a long line at the grocery story, or a lifetime for a loved one to come to Christ. When we lay our requests before Him, it is by faith that we wait and watch in anticipation of God’s good work in us and others. 3. Put your hope in His Word (Psalm 130:5-6). We can be tempted to put our hope in things that may disappoint us in the end. We can hope a doctor will heal us, a teacher will pass us, a spouse will love us, our employer will reward us, or a friend will help us. But it is only when we put our hope in Christ that we can wait with confidence and know we will not be put to shame. It seems that God allows us to experience disappointments in life to teach us that nothing else will truly satisfy or provide us with a firm foundation to stand upon. God’s Word alone is unshakable. We can wait for the Lord knowing that, no matter how dark the night is, His light will break through in our lives, bringing abundant joy through a more intimate relationship with Christ. 4. Trust in the Lord, not in your own understanding (Proverbs 3:5-6). Why is it so tempting for us to depend on our own wisdom rather than the wisdom of our all wise God? What makes us think that we know better than He does what is best for us? Scripture speaks clearly about how to live life abundantly forever with Christ yet, all too easily, we justify our sin, declare distasteful commands irrelevant, and do what is right in our own eyes. Seasons of waiting reveal where we are placing our trust. 5. Resist fretting, refrain from anger, be still, and choose patience (Psalm 37:7-8). It is easy to say we trust God but our response to delays, frustrations, difficult situations exposes where we are actually placing our hope. Waiting creates a pressure that tests what we really believe about God. Are we convinced He is listening? Do we believe that He’s good? Do we accept that our circumstances are sovereignly ordained? Do we doubt that He really cares about us? When we choose to wait quietly and trustingly, we not only honor God but encourage others to put their hope in Him as well. I remember that my “light momentary affliction is preparing for us an eternal weight of glory beyond all comparison (2 Corinthians 4:17). Jesus said, “I will never leave you or forsake you.” Ever. He is Immanuel, God with us. That’s a promise that will sustain us while waiting for answers to prayer, but even more as we wait for His triumphant return! 7. See it as an opportunity to experience God’s goodness (Psalm 27:13; Lamentations 3:25). When my focus is on my problems and what God has or has not given me, I am prone to grumbling, complaining, discontentment, bitterness, and selfishness. When I define goodness by what brings me the most comfort, happiness, and gratification in this life, then anything that threatens these things will tempt me to question God’s love and goodness. 8. Don’t go your own way instead of waiting for God’s promise (Acts 1:4). Scripture offers plenty of examples of saints who got weary of waiting for God and chose to do things their way. I have given way to that temptation as well. God’s goodness is promised for those who wait patiently for Him! No matter how long. Regardless of how hopeless things appear to us. Even when it seems to cost us everything. God is able to do far more abundantly than all that we ask or think, according to His power at work within us (Ephesians 3:20). When we wait for Him we will never be disappointed. 9. Continue steadfastly in prayer, being watchful with thanksgiving (Colossians 4:2). Another temptation we face when God does not seem to be answering our prayers is to stop praying, stop expecting Him to act, and give way to a spirit of cynicism rather than thanking God for who He is and all He has done for us. While God may not answer in our timing, or in the way we expect, He will accomplish His good purposes in our lives when we wait for Him and persevere in prayer. 10. Remember the blessings yet to come (Isaiah 30:18). As long as our hope is set on this life and things that gratify our flesh, we will likely feel frustrated, discouraged, and even hopeless. Jesus Christ came to offer us eternal joy and freedom from sin and, although we have been set free from sin’s power, sin’s presence is still at work in and around us. Thankfully, as believers, the Gospel assures us that God is for us and works all things together for good, for those who are called according to His purpose (Romans 8:28). During long (or even short) seasons of waiting, our hearts will be encouraged to remember that the best is yet to come! One day sin will be no more! We will be free from self’s demands and temptations and experience everlasting joy. So, “Set your mind on things that are above, not on things that are on earth. For you have died, and your life is hidden with Christ in God. When Christ who is your life appears, then you also will appear with Him in glory” Colossians 3:2-4. Be still before the Lord and wait patiently for Him; those who wait for the Lord shall inherit the land; But for you, O LORD, do I wait; it is You, O Lord my God, who will answer. Christ is the answer! He is your rest and the treasure that you seek. Wait for the Lord.